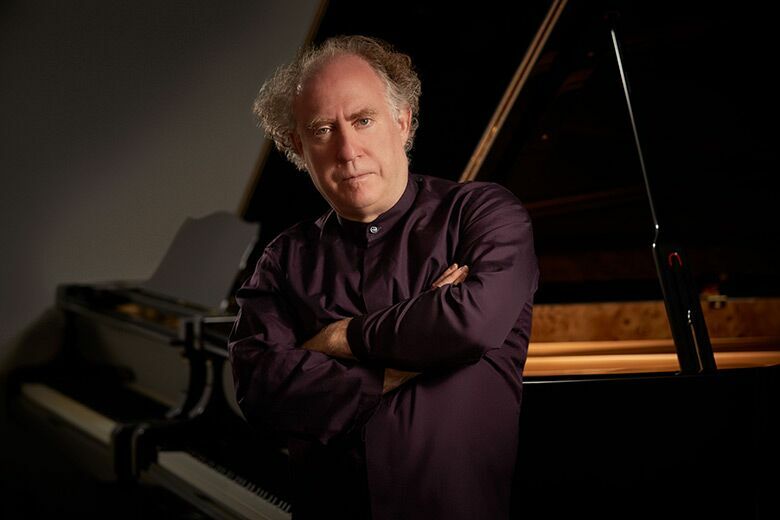 Equally at home at the keyboard or on the podium, Jeffrey Kahane has established an international reputation as a truly versatile artist, recognized by audiences around the world for his mastery of a diverse repertoire, ranging from Bach, Mozart and Beethoven to Gershwin, Golijov and John Adams. He will lead the Orlando Philharmonic Orchestra at 8 p.m. on Saturday, November 18 for Beethoven & Mozart at Bob Carr Theater, located at 401 W. Livingston St.
Beautiful and original, Beethoven’s Piano Concerto No. 4 combines lyricism and intimacy with gravity and power. Beethoven composed the Fourth Piano Concerto concurrently with the Fifth Symphony, and the first movement of the Concerto shares with the Symphony the same upbeat rhythmic figure, although in a very different mood. Mozart’s Symphony No. 38 premiered in Prague in 1787 and is popularly known as the “Prague” Symphony. With only three movements, Symphony No. 38 is unusual for Mozart. But three-movement symphonies that omitted the traditional minuet/trio were popular with Prague audiences and composers at the time. Metropolis Ensemble and its conductor Andrew Cyr. Since the mid-nineteen seventies, Brian Eno has been one of the most innovative and influential forces in pop music, particularly working with the many incarnations of the synthesizer. From the start-up music for Microsoft’s Windows 95 to a series of apps and multi-media installations, Eno continues to stay ahead of, or keep up with, the times. Kahane appears as soloist with major orchestras such as the New York Philharmonic, Cleveland Orchestra, Los Angeles Philharmonic, Philadelphia Orchestra and the Chicago and San Francisco symphonies among many others and is also a popular artist at all of the major US summer festivals, including Aspen, Blossom, Caramoor, Mostly Mozart and Ravinia. In April 2016, he was appointed Artistic Director of the Sarasota Music Festival, which offers master classes and chamber music coaching by a distinguished international faculty and features chamber music performances and orchestral concerts performed by highly advanced student and young professionals as well as faculty members. In May 2017, Kahane completed his 20th and final season as Music Director of the Los Angeles Chamber Orchestra. During his highly successful tenure with the orchestra, he spearheaded the creation of many new initiatives, including Westside Connections, a chamber music series that brings together LACO musicians and guest artists with speakers from a wide range of disciplines; Baroque Conversations, which presents chamber and orchestral music of the 17th and 18th centuries with spoken program notes and audience Q and A; “Discover” concerts, evenings devoted to the exploration of a single work involving an hour long lecture with the orchestra on stage, followed by a complete performance; and Sound Investment, a commissioning club whereby for a modest investment, LACO patrons can participate in the commissioning of a major new work and interact with the composer from the very first stages of its conception to the performance. Between this program and the regular commissioning of new pieces, over 50 works have been given their premieres by LACO during Kahane’s tenure. The Classics Series is sponsored by FAIRWINDS Credit Union and the Accommodations Sponsor is DoubleTree by Hilton Hotel Orlando Downtown. Celebrating its 25th Anniversary Season, the Orlando Philharmonic Orchestra is led by Music Director Eric Jacobsen and comprised of accomplished musicians from around the world. The Philharmonic annually presents the FAIRWINDSClassics and Pops Series at Bob Carr Theater and its Sounds of Summer, Focus and Women in Song Series at The Plaza Live. Known for its artistic excellence and community collaboration, the Philharmonic presents more than 150 live concerts and impacts more than 70,000 children, youth and families annually through its Young People’s Concerts, Symphony Storytime Series, Notes in Your Neighborhood program, and free outdoor community concerts. A resident company of the Dr. Phillips Center for the Performing Arts, the Philharmonic will perform in Steinmetz Hall when it opens in 2020. Learn more at OrlandoPhil.org. All programs and artists are subject to change. Visit orlandophil.org for the most up-to-date information.